+44 (0) 203 4755 775 hello@gethrs.com Support Search Login Viewing: Home : HRS Connect December Deals special offer! HRS Connect December Deals special offer! 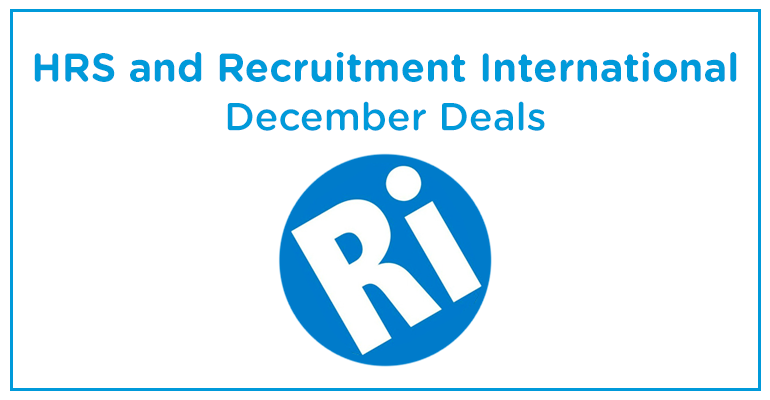 Not long until the HRS team head to Recruitment International’s – December Deals event! December Deals is different to other events as suppliers exhibiting MUST offer a very unique and one-off incentive. With the launch of HRS Connect we are exited to reveal our December Deals offer. December Deals takes place on Thursday 4th December from 10am to 4pm at The Bishopsgate Institute, 250 Bishopsgate, London. To attend this event is free of charge for all Recruitment agency owners, managers and directors. To book your free of charge place please email teri@recruitment-international.co.uk.